The complete list of polls can be found here. 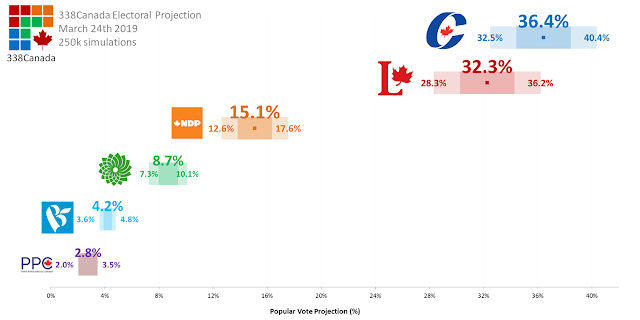 Here is the 338 Federal Projection Update for March 24th 2019. 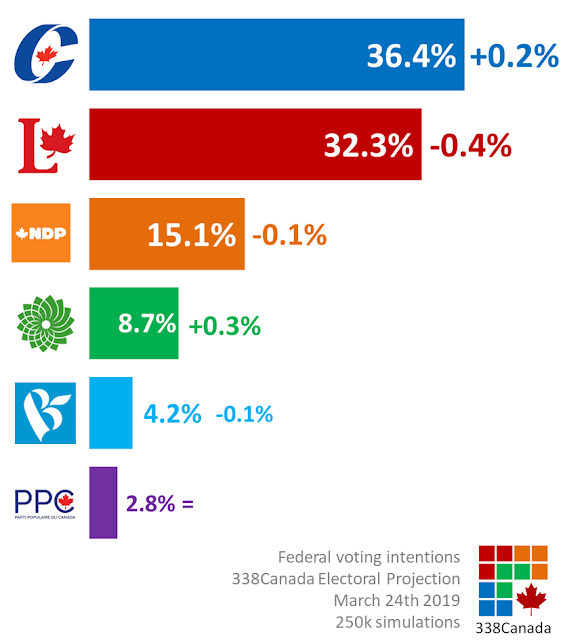 The Conservative Party of Canada holds its biggest lead since the beginning of the 338 tracker began last fall. 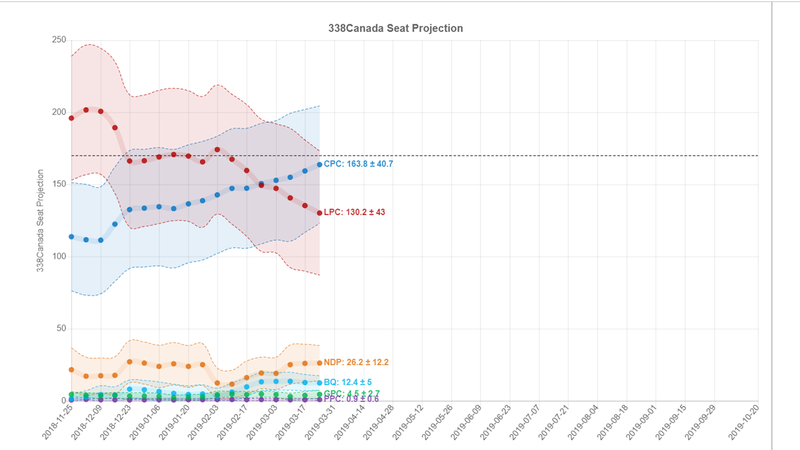 On average, the CPC support stands at 36.2%. Where will the Liberals' slide stop? The Léger/Canadian Press poll measured LPC support as low as 31%, which is its lowest level since before the 2015 election. 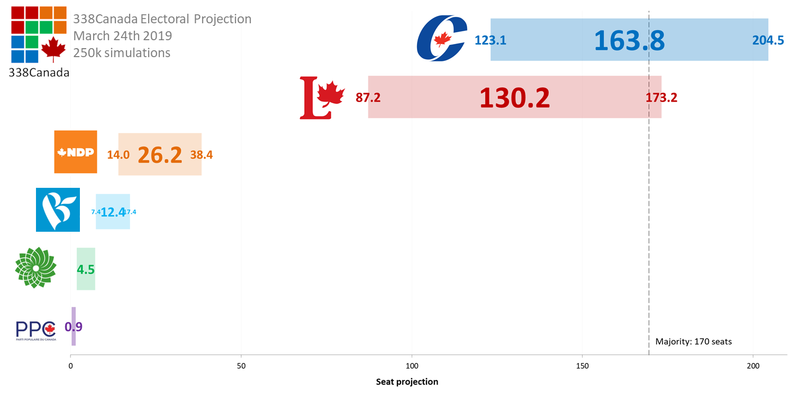 This week's 338 projection gives the Liberal Party of Canada an average of 32.3%. Very little movement i the seat projection this week, as the CPC climbs ever so slowly closer to the majority mark of 170 seats. 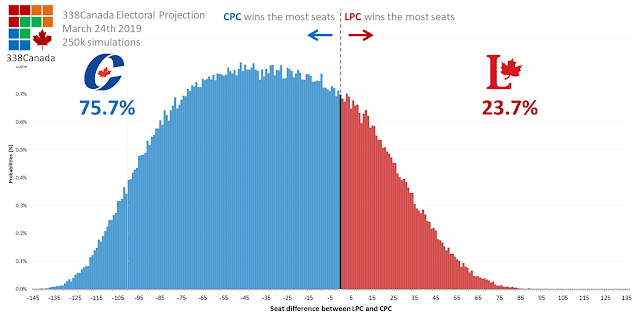 The Conservative average is now up to 164 seats. The Conservatives win the most seats in 75.7% of all 250k simulations, or about three in four simulations. The map of the 338 projection has been updated. Click on the image to visit the map's page. 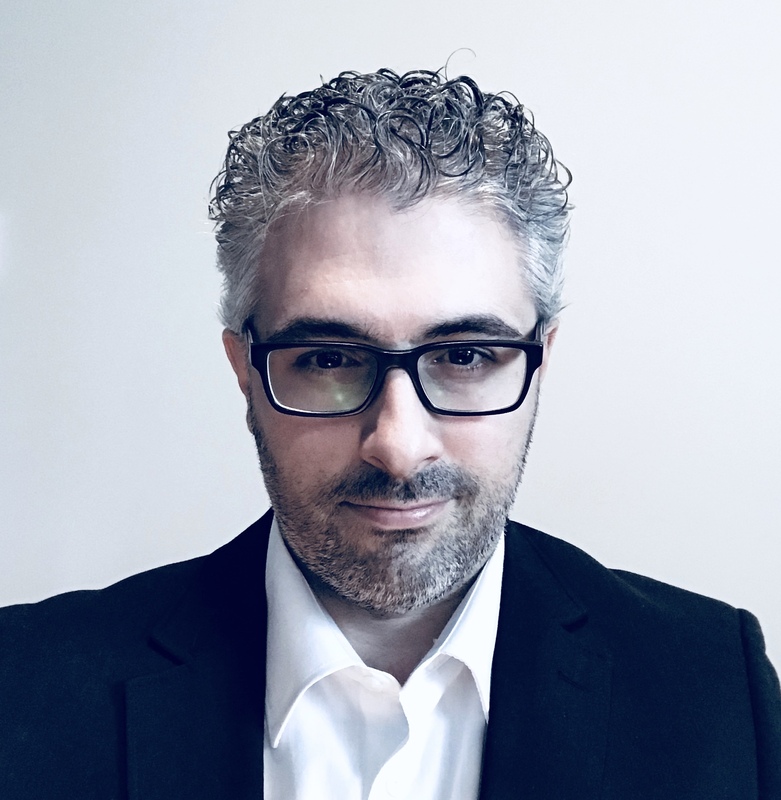 Federal politics will take a back seat for the next four weeks as Alberta entered its 30th general election campaign earlier last week. Albertans will go to the polls on April 16th. 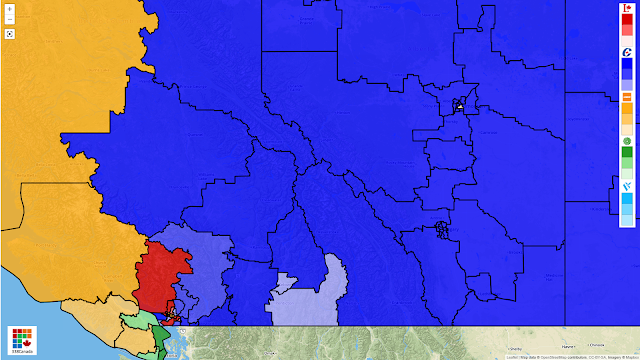 If Alberta politics is of any interest to you, allow me to invite you to visit 338 Alberta's page, where you can find provincial projections, district projections and, of course, a complete interactive map. Thank you for supporting this page. Have a great week.